Many people spend their lifetimes trying to start a freelance career. But it doesn’t need to be that way. The obstacles preventing you from starting your career might vary. You might make excuses and not want to leave the comfort of your 9 to 5 job. Or you might fear the uncertainty of the life of a freelancer and feel it’s not the right time. The truth is, you’ll never be 100% ready. So leave all your excuses behind, and focus on the steps below if you truly want to start making money and become self-employed. Obviously, you know what you will be doing online. Or you at least know how you’ll begin. The opportunities that will come your way later are something you can’t even imagine now. Maybe you’ll continue your current job as a bookkeeper, marketer, web designer, or writer. You will find your own clients and try to build your personal brand. But it is crucial to choose your niche. Start small, and enter any field you want later on. To keep your focus and make sure you serve the exact customers that need you, niche down. What does it mean to niche down in your industry? If you’re a freelance writer, specialize in home improvement, personal development, or legal topics. Doing so will make it much easier to build your portfolio, become known as an expert in that niche, and grab the attention of those who need services only in that industry. This brings us to the next step in your journey to starting a freelance career. Building your portfolio is something you should start doing no later than today while you’re still at your regular job and are not a freelancer. Why? The competition is fierce online, just as in any other field. And no one wants to work with people who have no proof of their previous work. If you are a writer, for instance, you need to set up a site and start to write blog posts. You’ll then use these as samples when connecting with potential employers. Invest your free time and weekends for a week or a month and do this step well. Your portfolio will serve as the foundation of your self-employment, so don’t rush the process of creating it. Don’t expect to be making big money anytime soon, but do know that your money is your responsibility now. While you were in your regular job, an employer handled your salary, taxes, insurance, and pension. As a freelancer, these responsibilities will be in your hands. You might get an accountant/bookkeeper right away, and that’s great. But you still need to educate yourself on exactly how taxes work in your country. You need to take care of your insurance and start thinking about your savings and a pension option. That’s not all. The legal and financial aspects are critical, but they depend on your daily actions. These could include budgeting correctly, adding VAT to clients’ invoices, and keeping records of any type of work you do. You’ll need to gather your business expenses and proof for each separately, while never mixing them with personal purchases. The web is full of resources that can help you. Start by using this calculator when determining the taxes you should pay yearly for your freelance business. You won’t make it as a freelancer unless you deeply care about your work, making clients happy, getting your name out there, and growing your brand. Hopefully, you’re passionate about your business. You should figure out what helps you get up and get to work every morning. This motivation is something you need to remind yourself of on a daily basis. Then identify your goals and vision and stay true to them. Doing so will make the daily activities related to your business easier. We’re talking about anything from updating your blog, joining sites for freelancers, and pitching employers. These activities could look like going the extra mile till you start seeing money coming in. Or they could look like posting on social media a few times a day to build an audience and engage with it. You might make videos, add eye-catching images to different types of content, get clients on the phone to discuss their expectations, and so much more. Now you see how you should start your freelance business, and there’s no day that will be better than this one. So let go of mental barriers, let your creative energy out, and get productive. What’s the first step you can take to start your freelance career quickly? Please, leave a comment. hey! its an amazing blog. it will surely help to lot of young brains to identify their job or working niche. ill suggest to everyone to once should try doing freelancing. visit “fixpocket – best freelancing site ” & get freelancing opportunities. Hi, I read the full blog that you mentioned above. It is such a great article. I really need this information which is very useful for me. Thanks for sharing this information to all.. Interesting post. Very straightforward and brilliant. I am a newbie in freelance. I will definitely follow the steps you’ve given. Great article I really Impressed with all the way of you explain the topic. I read many articles on about Freelancing and all. they just Say join this do this and earn $1000 per month and all…. I honestly hesitated to be a freelancer at first. I started out contributing to some of my friend’s blogs and now i’m writing for some companies. I’m planning to start my own blog soon as well! Thank you for this. You motivate a lot of people for this. Great article for freelancers Georgi! I do think, however, technology should be used as a forefront to pursue any business. Using a good task management platform (especially if it’s free, such as nTask at http://www.ntaskmanager.com) can really structure your work and timelines. I don’t mind you sharing your task management platform with my audience. But I do prefer you stick to the truth. I doubt you “came across” a post on Medium you wrote. Just be honest. The hardest piece of the puzzle is bringing traffic to your website. What’s your secret for bringing back people to read your things – except email marketing? Good point in managing your money right and making your work your hobby. 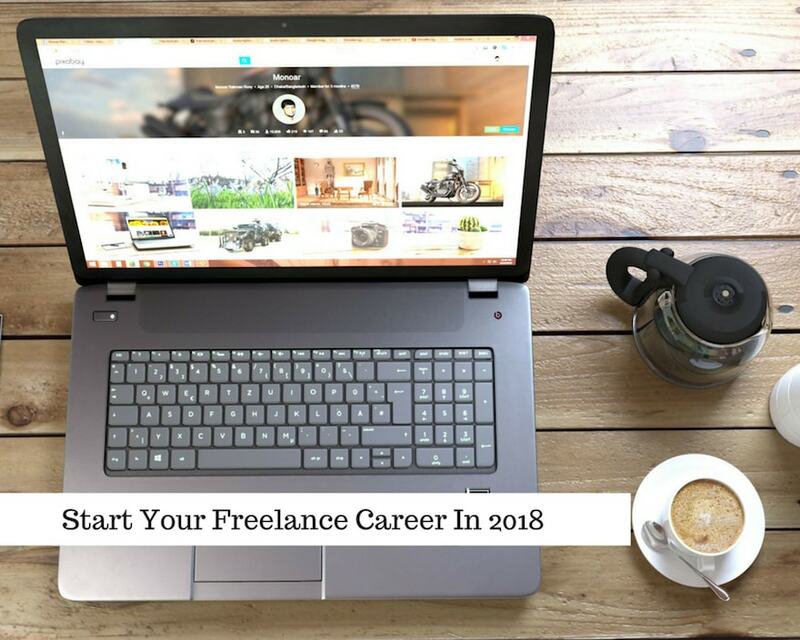 Freelance jobs or even blogging does not guarantee a fix huge income so it’s best to do some side jobs or other freelancing work because working from home means you have to pay everything from bills to personal benefits previously enjoyed as an employee. Also doing work that’s more of a hobby is not only fun but keeps us motivated and productive . Thanks for the information, Georgi! Thanks Georgi for quick and brief tips!! They are really resourceful tactics to go ahead as freelancer. You have published a very informative article. So, I just wanna say it a great job keep it up. Thank you so much for this! I have always loved the phrase about letting work become a hobby! I started as a freelance web designer in August 2017 but a poor profile and portfolia didn’t get me enough work…But now i am getting good amount of request…. Thank you for sharing such an important point to us about freelance.This post is great each and every point is worthy. I want to earn money. So , shall I start my own blog or better to write for others ? I think you can start doing both. But writing for others will make you money from the very beginning. I have 2-year Digital marketing Experience with Advance Knowledge of SEO PPC. But I did not get any Project from Upwork or fiverr. Georgi Todorov would love you to read ..How Website Color Schemes Can Enhance Your Marketing Blog? Next time again I visited on your website, just because of the impressive article about freelance starting ideas. Your written article helped me a lot to improve my mistakes. This time you talked about freelance startups and it’s a really a good article. As you said few points about startup ideas so I followed all of the steps and found good results. Thanks a lot for the amazing tips. A freelance job is much better than any other job. I’ve been a Freelancer marketer and am much happy being one of the community. Thank’s Georgi Todorov. When I started my freelancer career no one helped me like you. It’s really helpful for beginners. Dear, You have shared a very great source of content regarding starting a career as a freelance and this is very helpful. thank you & keep sharing good information. I’m sure that each of us, your peer marketers, will benefit a lot from it. Hello, I am Alkesh Acharya, Working as an SEO Executive. I want to be a Freelancer. How Can I Be Initiated? I’d love to help you to get started with a few tips. For free. HI, Elijah! What is your niche? I tried to work freelance as a fresher but no one can hire me for their work. Please give me some tips. What is your niche? Where are you looking for work? How many hours a day do you dedicate to find clients? Hi dear, You have shared a very great source of content regarding starting a career as a freelance and this is very helpful. I really appreciate the way you have explained everything in a simple ,subtle matter and covered everything.I have always been skeptical about starting out as a freelancer.I must say I am scared.Thanks for the much needed motivation. Great tips especially the one about work becoming hobby as that is the key to starting in a new world. Also, the one about financial aspects is important as that’s missed by many. Thank you for your comment, Disa! Are you freelancing? I am just curious. Thanks Georgi, I just read your link on color schemes and found it really helpful. Going to use those tips to improvise my blog. Taking baby steps in the freelancing world right now. Thanks, Disa! Let me know if you need any help with freelancing. What service are you going to offer to your clients? Have recently set up my profile at Upwork. Having web analytics experience of 5 years, am looking towards helping clients for projects requiring Adobe Analytics, Google Analytics and Tag Manager skills. Long term plan in freelancing world is also to also take up writing projects, submitting articles to journals, newspapers, etc. Currently in a 9 to 5 job so will be concentrating on smaller projects and as I proceed forward in this domain, I plan to leave my full-time job and concentrate only on freelancing. Let me know your views. Any help will be much appreciated. Hi Georgi, I like the way you explained these points. I am a bit confused on how to start as a freelancer or not but now I think I should give it a try and then decide. Thanks for your advice. Any new beginning is a bit confusing. You will learn by doing. Good luck!